I don’t think there’s anything quite as satisfying as having an idea for a short story, an article, or a book and getting it on the page in a way that not only fulfills my need and love of writing, but also touches or informs my readers in exactly the way I’d hoped. Trouble is — even for writers that have been at it for years — sometimes the excitement that sparks that idea gets lost in translation. The good news is, I know how frustrating that disconnect can be and how to move beyond it. Working closely with writers at every skill level — through my teaching at Stanford, UC Berkeley and Foothill College, as well as in private workshops and individual consultation — I’ve learned how to be a genuine help to individuals seeking the satisfaction of turning their ideas into words that work, from first draft through publication. I know what it takes to create a powerful story, and I know how to give you precisely the feedback you need to make your ideas and your characters come to life. In addition to bringing more than thirty years of teaching know-how to my work with writers, I also bring my own experience as an O. Henry Prize-winning short story writer and the author of two best-selling novels. 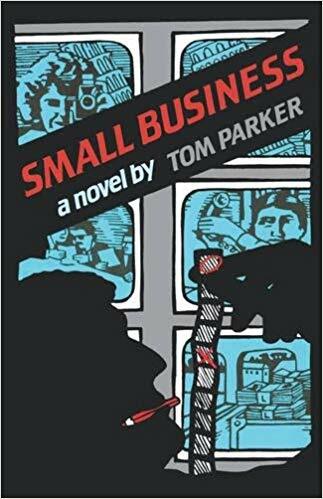 In Small Business, my challenge was to find a way to tell a serious story that was very personal to me in the slightly detached, humorous, and ironic voice of the book’s protagonist. In Anna, Ann, Annie, I sought to capture the details of pre-WWII Vienna and the essence of my mother’s short life in a series of completely invented episodes that charted her path from child prodigy to her ill-fated end. What challenges are you facing in your writing, be it fiction or non-fiction? I can help you meet — and overcome — them. Working as your mentor and coach, I’ll be there for you on the phone, over email and even in person. You and I can talk shop, discuss the importance of knowing what your story is essentially about, figure ways to build charismatic characters, create memorable dialogue and map out compelling plots. We can talk mood, tone, setting, visualization, drama, conflict, the use of sun and shadows, anything and everything that comes to mind. We can also schedule a weekly or monthly call to share insights, discuss your writing concerns and talk through any obstacles you may have encountered. As your reader and editor, I’ll bring a fresh, fair, professional perspective to your work. I’ll read your pages as you write them, work with them chapter by chapter, and/or read, edit and comment on your completed manuscript, including notes on the text, as well as a multi-page critique with suggestions for creating an even more powerful story. Fees for my coaching, reading and editing services are both flexible and negotiable, but normally range from between $125 to $150 per-hour. If any or all this interests you, and you’re looking to get truly serious about taking your writing skills up another level — or likely more — let’s talk. I also offer a number of ten-week advanced fiction-writing workshops in Palo Alto, California. Contact me if you are interested.